Above: Laura and Jordon of Fighting Chance with Carolyn McKay (center) . Below: Hon. 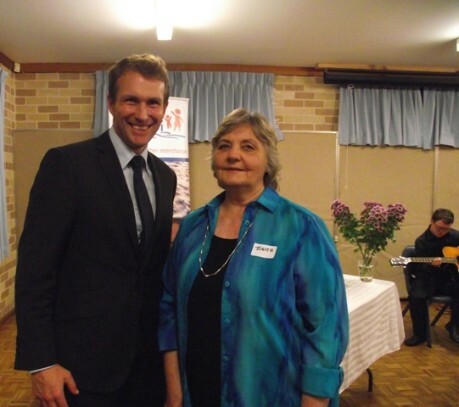 Rob Stokes and Judith Blayden. Above: Paul McGee. Below: Olga and husband Andrew. Bottom (l to r); Liz, Claire and Geraldine. 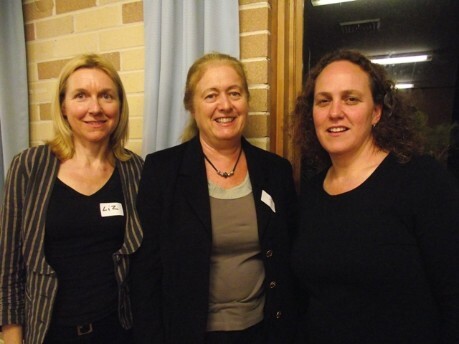 The Northern Beaches Interchange held its Annual General meeting on Tuesday evening. 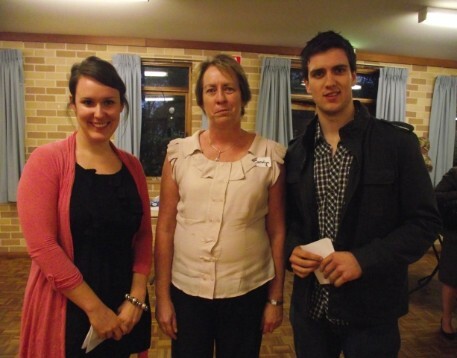 Judith Blayden, President, welcomed members, guests and our local Member for Parliament, Hon. Rob Stokes prior to speaking on matters in her report. An extract from NBI CEO, Carolyn McKay; “I would like to sincerely thank the entire NBI team for their dedication and hard work. I would particularly like to thank the coordination and administration team for their loyalty, enthusiasm, sense of humour and teamwork during a year that has seen us embrace a number of challenges. NBI has continued to deliver a range of quality and responsive respite, recreation and support services over the year. Much of the great work of NBI is highlighted in the project reports which I commend to you. • Successful accreditation of the TAG Vacation program through the National Childcare Accreditation Council. Congratulations to all those staff and families involved in the process. During the year, NBI engaged with a number of families with a common goal of seeking to achieve new and additional appropriate group recreation/social support opportunities for young adults. Families completed surveys and attended a meeting to identify goals and action plans. A number of strategies have been developed to further this project and one direct result was the expansion of the Peer Support program to offer six additional places through commitment of NBI funds. • Establishment of the Hand in Hand project which offers parent-to-parent support and networking opportunities, further building on NBI's commitment to fostering supportive connections between families and across the community. Funding support from community based partners, foundations and fundraising activities has enabled NBI to offer a number of additional activities and support; for example - camps, holiday programs, additional weekend activities and carer support activities such as the "Mum's Weekend Away"." Four volunteers and staff members were recognised at the AGM for ‘their outstanding contributions’. 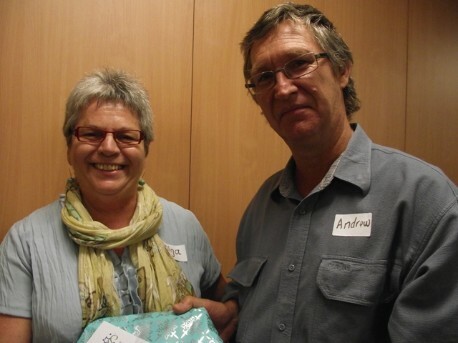 Leeanne Jones was thanked for her work with the Kookaburra Group, Kim Buckingham and husband Bob for their excellent and long term (13years) contribution as a Host Family, whoile staff members OLga Vassaarotti and Alex were recognised for their excellence in work stanrads, care and dedication. The NBI team consists of approximately 140 dedicated and talented staff and volunteers committed to the organisation's values who work to ensure quality, responsive, professional service provision for each of the 200 families accessing their services. Volunteers contribute enormously to NBI in a wide variety of roles, as Host families, on group recreation programs, as Board members, assisting at events, fundraising and through assistance with website and database development. Judith Blayden was once again nominated and will serve as President for 2011/12. George Wong was nominated and accepted as Treasuer. Carolyn then invited guest speakers Jordan and Laura O’Reilly from Fighting Chance who spoke eloquently on this relatively new Brookvale based organisation started by their mother when she found a complete lack of services or inclusive policies or practices for her son Shane. Founded in 2009, Fighting Chance’s main objective it to improve the life quality of young people with physical disabilities. How does Fighting Chance do this? From Laura’s speech; “One of the first things we did when we took over FC back in January of this year was to redesign FCs purpose. Like most things in with FC’s origins, we built the structure of the charity around Shane. It was both of our observation that Shane was being deprived of many aspects of “normalcy” by his disability. For example, he would never get a job, despite his ambition and intelligence. His prospects of ever moving out of home were negligible, despite being a hugely sociable person and desirous to be independent. And he was so very reliant on services like the amazing one you provide for his social interaction. The sad truth about Shane’s life was that the things that Jordy and I took for granted – moving out, getting a job and building a social life – were all, to a greater or lesser degree, out of Shane’s grasp. Our current focus is our employment project. We called it the Kairos Project because Kairos is a Greek word meaning a moment in life when something extraordinary or transformational happens. We want our project to represent that sort of transformational moment in the lives of the people who come to work for us. The purpose of the Kairos Project is relatively simple. 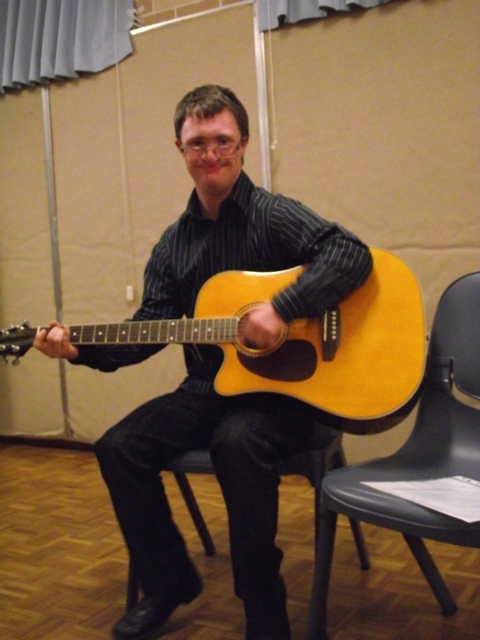 We aim to build employment opportunities for people with physical disabilities, whose disability is so severe that they have either been classed as completely unemployable, or who are struggling to get employment in the mainstream. The only important thing about the people we work with, really, is that they are very bright, very intellectually capable people. More about Fighting Chance in File below and on their website. A light supper accompanied by music played by Paul McGee completed an insightful evening into NBI’s year and the exciting program they work towards for their 30th year in 2012.